You can now order your prescription online via the link at the top of this page (click here to find out more). We have a separate telephone line for repeat prescriptions where you can leave requests for regular medications as agreed with your doctor. The line is open 24 hours a day. The number is; 01453 825690. If you wish to speak to the dispenser please leave a message and your telephone number and someone will get back to you as soon as possible. The messages are picked up at regular intervals throughout the day. These prescriptions will normally be available for collection from the surgery or the chemist in Stonehouse. Please allow 48 hours before collecting your prescription to allow time for medication to be ordered if necessary. Your Prescription request sheets can be handed in to the dispensary at any time. You may also request your prescription by post, please enclose a S.A.E. We are a dispensing practice but can only dispense medicines to those living more than a mile (as the crow flies) from the nearest chemist. 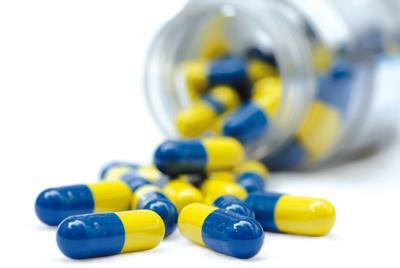 Medicines will normally be available at time of consultation or within 2 working days. If you will need to pay for four or more prescription items in three months, or more than 14 items in 12 months, you may find it cheaper to buy a PPC. The charge for a single prescription item is £9.00 (increasing to £9.00 from 1st April 2017), whereas a three month PPC will cost you £29.10 and a 12 month PPC £104.00.